The Pathfinders team from Cornerstone Church in Madison TN arrived on February 20th to put up a church roof in the village of Nyambiti. 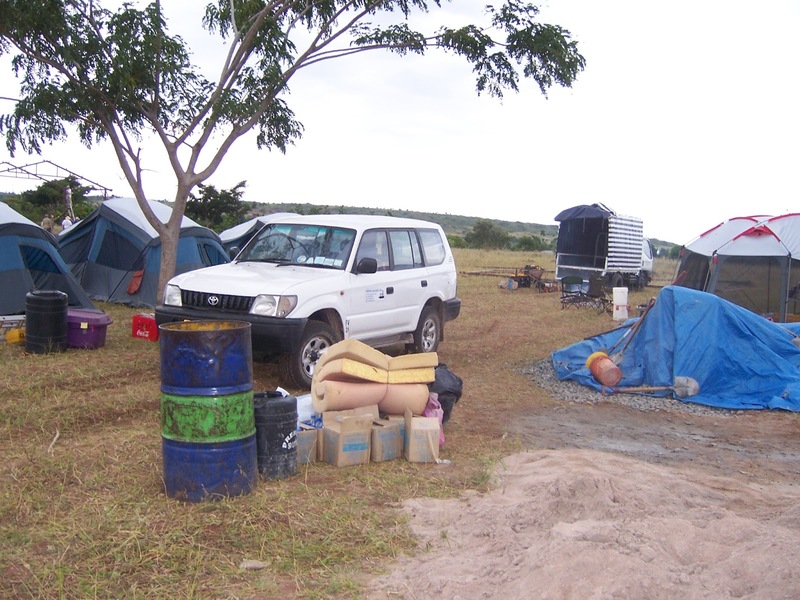 The truck that was to bring the building supplies did not arrive until Wednesday so the team went to the site for the Mwanza District Church Planting School and put in the foundations for the buildings on that property and put together some of the roof components. On Wednesday about noon the truck arrived with the building supplies and the team spent several hours off-loading the supplies to two different locations. 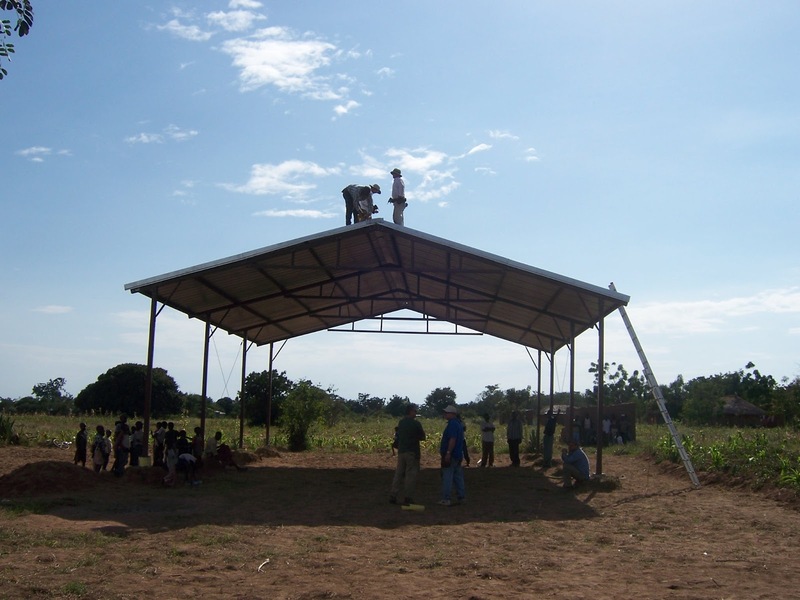 By staying up until about 1:00am Wednesday and working with lights and starting again Thursday morning about 5:00am, they were able to get the roof project completed for the Nyambiti church. Although Satan seemed to try to hinder us on this project in multiple ways, the team persevered and finished the project for the glory of God. Thanks to the hundreds of our friends and supporters who were praying for this project. Satan and his demons were defeated by the power of prayer. This entry was posted in Construction by timandjoycejarvis. Bookmark the permalink.